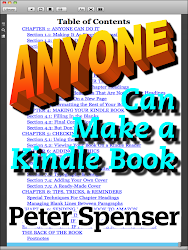 From now on the only e-books that I will be formatting are my own, and I’m almost finished with a revision of Anyone Can Make a Kindle Book (present owners will be able to get the revision for free), which is still the best book out there for PC users to make their Kindle books. I say “PC users” specifically because I’m also finishing up (though it’s taking longer than I planned) my book about using the program called Pages (made by Apple and available for Macintosh computers and also for the iPad) to quickly and easily format both Kindle and EPUB books… even more quickly and easily than the method that I wrote about in Anyone Can Make a Kindle Book. 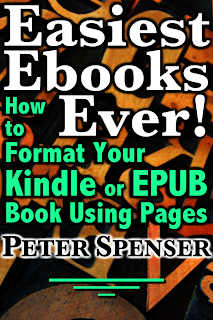 The title of the new book is Easiest Ebooks Ever! 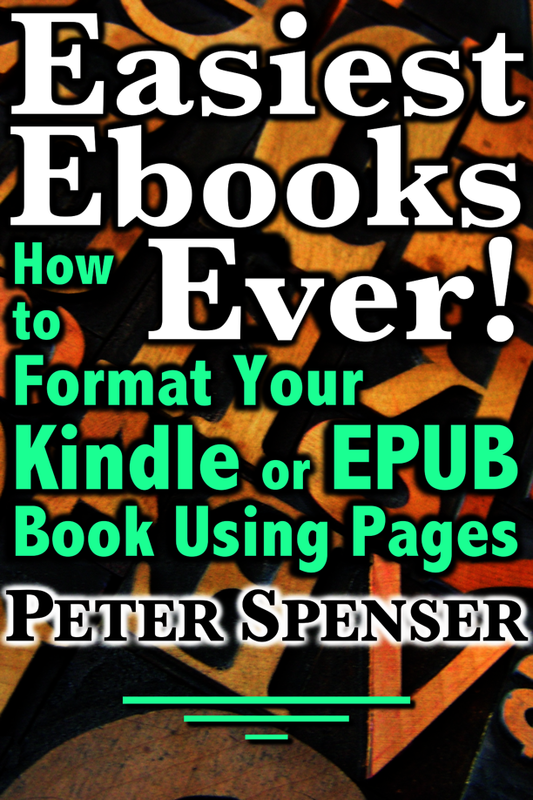 I discovered the new method a short while ago, it works great, and anyone with a Macintosh should use Pages with my book to format all of their books. I’ll let you know when it’s finished and available for sale. I also have a whole bunch of my own fiction just crying to be finished and put out there, so that’s where I will be concentrating my efforts from now on. As of July 1, 2015, I am again in the formatting-for-hire business. This book is undergoing revision at the moment. I would recommend waiting until that is complete before purchasing. I will post here when it is done. 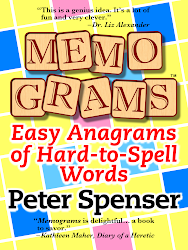 Available now from Amazon, Barnes and Noble, and the Apple’s iBookstore. 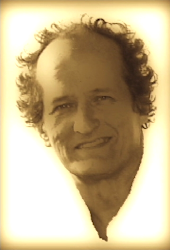 Peter Spenser is a successful computer systems engineer, teacher, and graphic designer. When not busy writing books and managing his publishing company, Gallant Press, he is also an avid photographer, a sometime composer, and a great cook. He won a photography scholarship to the Rochester Institute of Technology and also has a degree in Communications and Media Arts. His birthday is March 30 and he lives near Buffalo, New York.